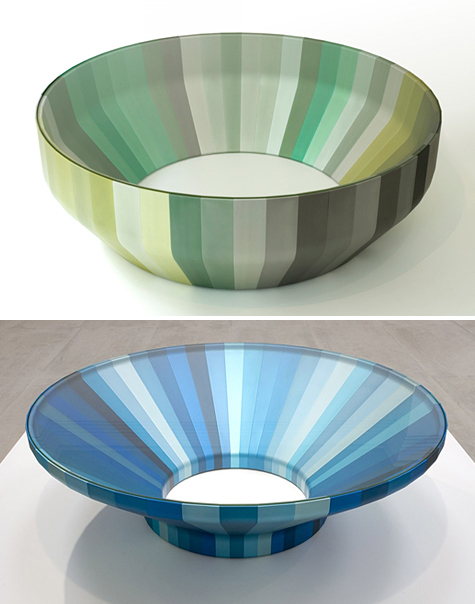 Aluminum slices combine to create a unique spectrum of color for every Iris Table, designed by Barber Osgerby for Established & Sons. The table is so stunning on its own that I would be too intimidated to set anything on it! They're amazingly gorgeous! I love the shape of the green table and the colors of the blue one.